Those Who Cling, Those Who Struggle. 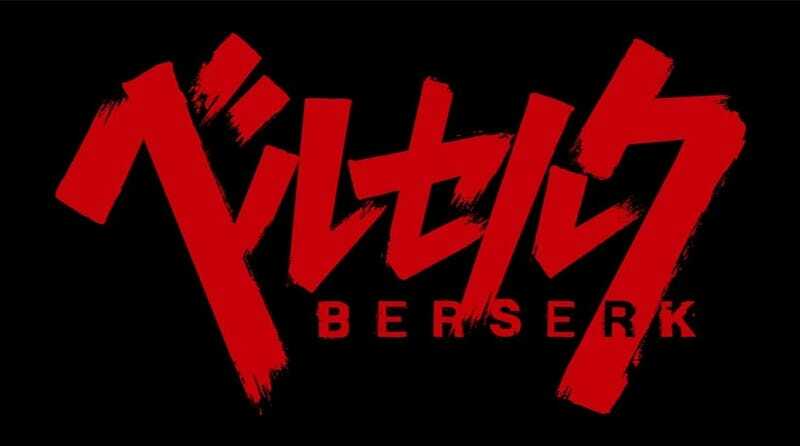 The 12th episode’s title not only sums up this 2016 series but the Berserk franchise and to an extent its fandom quite nicely. Fans of Berserk know that contrary to appearances (even more so with this new series), Berserk is perhaps one of the most emotionally sophisticated and mature stories of the human condition that has been told through manga or anime. Medieval and supernatural trappings aside, this is as human a story as they come. I must admit, I had a little trouble choosing how to approach this write up. A lot has been written and said regarding the visual presentation and the directorial decisions of this particular version of the anime. My final say on it is, its not very good… But I’d like to focus a little more on the characters themes of the story itself. Even if you strip the Miura’s gorgeous art or this adaption’s CG away there is some substance underpinning all of it. One of the Tower of Conviction arc’s particular focuses seems to have been poor cowardly Nina, who like many people would certainly like to do the right thing, but just isn’t quite up to it. Nina serves as a stand-in for many of the hapless people who populate this world, particularly those who have fled to St. Albion as refugees from the Kushan invasion of the Midlands. While not a particularly bad person, her fear and general attitude of helplessness in the face of her environment (and well supernatural terrors) makes her particularly easy for the viewer to understand and also disdain. Her weakness is brought into stark contrast with the other characters. In the end she finds her own terror and illness as proof of her will to live and survives. Nina even finds a happy ending of sorts, finding the strength to strike off on her own with a kindred a spirit in Joachim (who is pretty forgiving towards a person who had a mob run him off a cliff). Alas many of the other unfortunate souls living around St. Albion, particularly those who ran into the tower and closed the gates on their neighbors, found that living in fear and struggling to survive don’t necessarily mean the same thing. In Berserk, being true to your convictions frequently doesn’t pan out (see Guts, Mozgus, Skull Knight), but placing your fate in the hands of another being is absolutely the worst decision (see Band of the Hawk). Many of the surviving characters in this arc of Berserk are the ones who are shown to actively face the dangers they are confronted with, whether it be for themselves or for someone else. Guts is the epitome of this in Berserk, motivated by his own personal issues he has at once achieved an almost inhuman prowess for fighting and survived more suffering and pain than scarcely any other character in memory. This arc is less about his trials (that was captured more in the Golden Age arc) and more about how the characters react to him. Isidro, who is perhaps the first new person Guts relied upon to protect Casca (not counting Rickert or Erica) obviously idolizes Guts as a person who is able to make his way through the world and take absolutely no shits from anyone. Instead of something as mundane as cling to Gut’s power for protection, Isidro seeks to “steal” Guts’ skills and also prove his own worth. Farnese has come the furthest, even though she has always been silently looked after by Serpico and Azan, her worldview was shaken when she encountered the supernatural terrors that surrounded the Black Swordsman. Even though Mozgus temporarily bolstered Farnese’s faith, seeing Mozgus’s inhuman transformation and Guts’s ability fight back against the otherworldly horrors in St. Albion, her old beliefs were shattered. In the last episode the former commander of the Holy Iron Knights, embarks to follow the Black Swordsman and discover the truth of this reality for herself. Luca, on the other hand, started out independent, brave, and strong willed. The caring type, she tried to protect her friends both from the human inhabitants of the refugee camps and supernatural phenomena that appeared later. One of the more likable characters in the series, she is an illustration that you do not necessarily have to be a freakishly strong, giant sword wielding warrior to stand up for your convictions and handle yourself well in this world. Serpico, who always has hid his protective and competent side underneath a veneer of foppishness, seemed to discover a little more about his own nature and values after his run in with Guts. Good man but lousy witch-hunter, Jerome and the do-right Knight of the Bridge, Azan, also serve to illustrate not all people of the church or aristocracy in this world are necessarily evil or ineffective either. I’ve always appreciated that Miura always created rounded well realized secondary characters for this series (I mean there was a great group before, but they didn’t make it...). It was actually nice to see this new group together taking a stand against the Kushan scouts at the end. Why is it just happening in Albion? One last thing that has always intrigued me, even when I first read this in the Manga. There is a point when Isidro says something to the effect of, “If hate is all something like that takes, then the world would be a cesspool right now.” Then Puck takes a look at both Guts and Casca’s brands of sacrifice implying that their presence was riling up the spirits as we’ve seen Casca’s mark do. This always seemed to me to imply if the Guts and Casca were in fact sacrificed or killed at this point, as Mozgus suggested, then the thousands of people who were consumed by the demonic blob in the tower of St. Albion would have been spared. Though the words of the Skull Knight also seem to state that this event is inevitable and what plays out here is just a shadow play of the original eclipse event. It does make for some nice parallels. Guts potentially sacrificing thousands of people in order to save Casca, though to paraphrase, do tens of thousands people have the right to stake their lives on one person? I always loved the contrast of that statement to Griffith’s case, was he justified in sacrificing the hundreds of people who were loyal to him for his own dream? Now that Griffith is has been re-born physically to this world I wonder if he will show any mental signs of his torturous last few years in physical form? Was the demon baby his or Gut’s? What happened to that Demon Baby? Did he become Griffith? or did the Demon Baby become something else? Though I’ve read the upcoming arc, and know what answers they may or may not hold, what are your thoughts? Are there any Berserk theories or conjectures that you have been cooking up? Well, Its been a pleasure getting your comments and from these reactions over the last twelve weeks (though admittedly I haven’t been the best at keeping up), please leave any of your comments or discussion below. My thanks to ShadowHaken for covering for me and spearheading this weekly reaction series, as well as the extended Band of the Haken, Gugsy and Requiem for writing up their “Why you Should Watch Berserk 2016” pros and cons. See you next spring!